The car was owned by a well known historic racer here in the UK for a long time. It sold a couple of years ago for around Â£80K and then had a lot of work carried out I believe, been to most of the big events since. I always wondered why the bumpers are fluorescent yellow while the rest of the decalls are in much darker yellow. Fluorescents always react to UV and heat, ask anyone who has had time with Marlboro Pink 956's and VK Gp C Commodores. 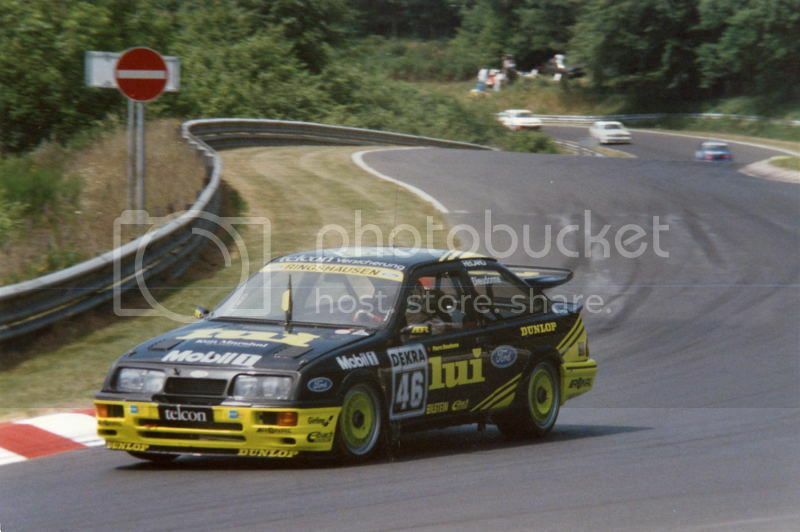 + if you look at pics of the car in period (Unless there were 2 x LUI Ringhausen RS500's?) it ran its air-jack pick up in a different place, not offset, Wolf style, like it does now. So she may have had a slight kiss, warranting a new bumper and new decals that would be a different colour if they spec'd the original shade? Just a guess based on personal experience I might add. FWIW, I really like this car and think she's good buying, assuming the current owner knows his stuff (I think "yes"). Had a good look over this at the autos port show lovely car. It has fibreglass front bumper so may have had a kiss as u said. I always thought it was a wolf judging by the wheels? Couldn't find much history about it on the net. There indeed were atleast 2 of these Lui cars. I have some video footage of old DTM races and know for sure that there was more then 1 car. Volker Weidler was one of the drivers I believe. Eggenberger chassis 99266 was built by Ringhausen Rennsport for Manuel Reuter in late 1987. 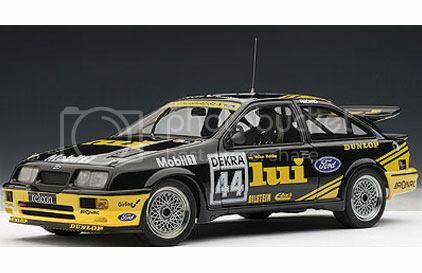 This very significant car was the first RS500 to race in the DTM, debuting at the Flugplatzrennen Diepholz meeting and finishing on the podium. 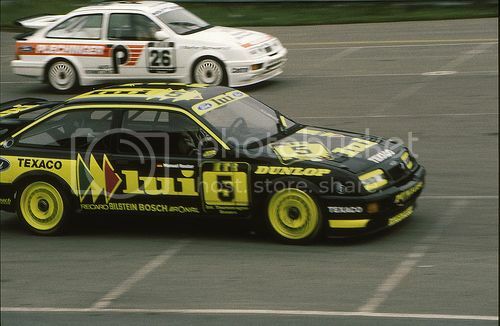 Reuter again campaigned the car in 1988 with Volker Weidler and Pierre Dieudonne sharing driving duties in 1989. After itâ€™s distinguished career in the Deutsch Tourenwagen Meisterschaft the car retired to a private collection where it remained until its current owner recommissioned it in preparation for the 2012 Silverstone Classic. Following a thorough overhaul and refresh the car has been raced successfully in recent seasons. The car was further improved over the winter of 2012/13 with an engine rebuild by Julian Godfrey, refreshed turbo charger, new suspension and a full re-wire. The Super Touring Car series attracted a lot of attention during 2013 from the press and the public; this was helped with competitors John Cleland, Tim Harvey and Patrick Watts all competing. 2014 is set to be even greater having captured the imagination of the HSCC and fans alike. The 2014 season will be televised and it is to compete in the support rounds of the BTC. An opportunity to own a piece of motorsport history. 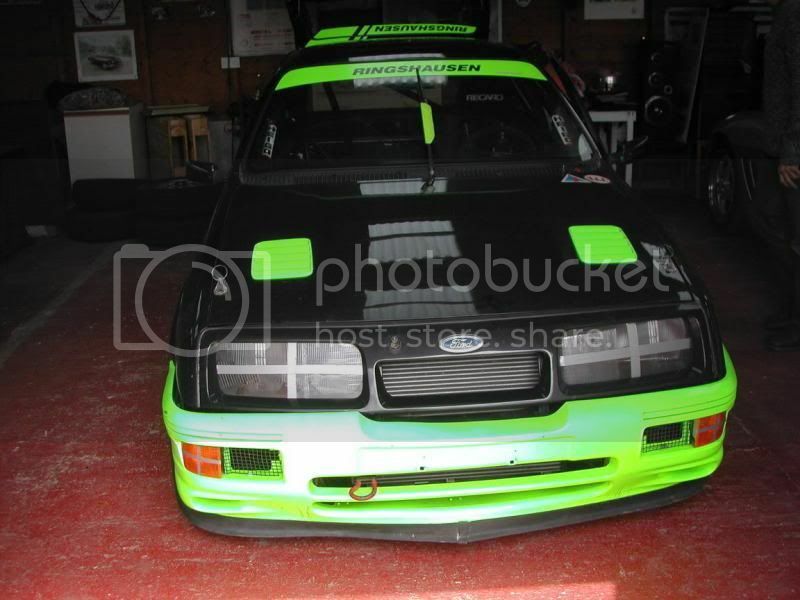 This famous and much admired touring car is offered for sale in perfect order and is ready to compete in 2014. Spotted that info on racecarsdirect as well . Do u not fancy buying this one yourself paul? Lol. That makes 2 of us then! Unless my numbers come up tonight. Sounds interesting! Does it have a ford badge??? Is it vw beetle u was on about Paul ?? If there was a couple more then 99264 an 99265 would be the other cars? as there was more than 1 lui car about. 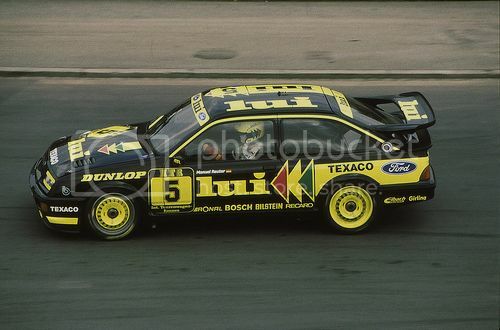 Martin mentioned earlier in the thread about the other Ringhausen chassis in Bristol being one number on from this one. I wonder if the Moffat ANZ egmo car is one of the missing numbers. 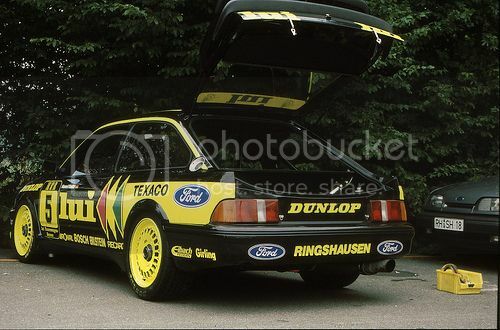 I was always under the impression they did not build full customer cars whilst they had the Ford/Texaco contract, so only sold kits at that time, and that customer cars had different chassis designations to the works cars, but these Ringhausen ones kind of dismiss that. Maybe that only started the new numbering system when they lost the Ford contract in 89?